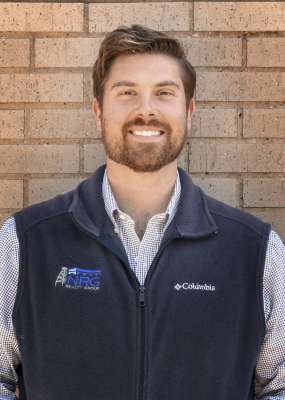 NRG was formed to provide individuals and companies who operate in the tertiary shale plays a single point of contact for each of their real estate transactions and facility needs throughout the United States. We have spent years building relationships with corporate real estate directors, energy executives, local brokers, developers, general contractors, municipalities, and investors in each of the major basins. These relationships allow us to effectively provide a variety of transaction options based on our client's needs. We have represented clients on existing office and industrial facilities for lease, purchase, build to suit, unimproved land for development, and direct sales, subletting existing space, sale-leaseback transactions, and sale of land for commercial purposes. Justin is a lifelong Texan whose experience in the oilfield started from day one. His father worked in exploration and production and would often take him to visit well sites during his youth. These trips to rural locations started the passion for the oil and gas industry that Justin carries with him today. He is a graduate of Baylor University with a degree in Real Estate & Finance. With over 25 years of commercial real estate experience, John has had vast responsibilities in a number of areas including strategic planning, site selection, brokerage, project management, and move coordination. His day to day interaction with clients at all levels of the corporate spectrum have proven his aptitude and his ability to perform. John has represented a number of Forbes 1000 clients in many facets of the real estate and facilities business providing a full range of services. His assignments have included build to suit projects, corporate headquarters, facilities, regional locations, as well as field locations across the US and abroad in Eastern Europe. John’s bi-lateral experience with tenants and Landlords has given him an edge in negotiations and presentation of transactions. ​As a fifth generation Texan and 4 deep in the Permian Basin, John's ties to the Oil and Gas Industry run deep. His grandfather, Rupert P. Ricker, held the first leases on the University Lands which, made possible the first well in the Permian, The Santa Rita. John's experience with his family's holdings has made him very well positioned to assist service companies and operators with their real estate needs. With the family ranch still intact, John frequently is in Reagan County on business and has a chance to enjoy the ranch as well. 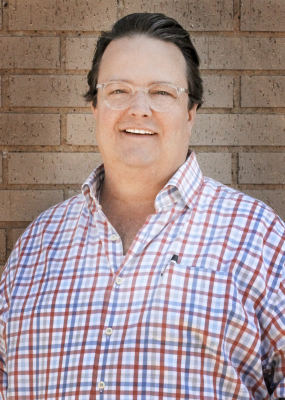 A graduate of Dallas Baptist University, John holds a degree in Business Management. He has done additional post- graduate work at Southern Methodist University. He is currently an SIOR Member and is working towards his CCIM accreditation. He has been married to Lucy, his high school sweetheart, for more than 25 years and they live in Dallas with their two daughters, Katie and Caroline. Driving 20+ hours across the country, she decided to plant her roots in Dallas, TX. 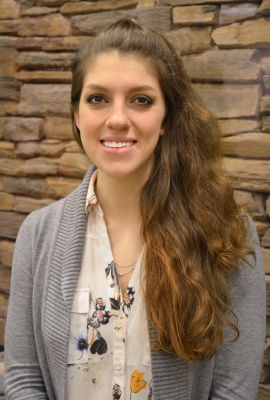 Jenna excitedly continues her marketing career with NRG Realty Group. Focusing on brand recognition online and through traditional media, she promotes the ‘NRG Blue’ proudly. Be on the lookout for new & improved marketing materials from NRG!